How, where and when did the Apostle Paul die? The short answer is, we are not really sure. Although the Paul remains a very significant figure, we actually don’t know a great deal about his life. Texts books (with a greater or lesser sense of certainty) will inform us that Paul was born in the town of Tarsus (now in modern Turkey) sometime around 5 C.E.. However, this is purely conjecture. Paul doesn’t ever mention his birthplace or make any reference to Tarsus! On the other hand, Luke, who features Paul heavily in his Acts of the Apostle mentions Tarsus three times (9:11, 21:39 and 22:3) and records Paul as stating to his opponents in 22:3 that he is “a Jew, born in Tarsus in Cilicia”. Luke is the main source for biographical details of Paul. It is he, not Paul, who tells us of Paul’s status as a Roman citizen (and he may have good reason for emphasising this, but that must be the topic for a different post). However, unfortunately, he is silent on the matter of Paul’s death. In this final excerpt from Newman Graduand, Isabella Wray’s, dissertation on Paul’s use of the term apeleutheros, ‘freedperson’, in 1 Corinthians 7 she explores the wider context and implications of Paul’s advice. In the earlier excerpts (parts 1, 2, 3 and 4), the socio-political function of manumission and the place of the freedperson within Roman society were examined. In part 5 Isabella began to unpack why Paul might have used this term and the significance it held for him and the recipients of this letter. This section fleshes this out further asking whether Paul’s instruction subverts the Roman social structures and what its implication might be for the church in Corinth. Once again we would like to thank Isabella for her generosity in letting us post these excerpts here. Isabella will be graduating in a couple of weeks time and this is therefore one of her final weeks as a graduand! She is currently enrolled in postgraduate studies at the University of Birmingham, taking a MA degree in Religion, Politics and Society. We wish her continued success in all her work and look forward to more fruits of her research! In his surviving writings, Paul’s preferred term for people who are not slaves appears to be ἐλεύθερος (eleutheros); ‘free’. However, in 1 Corinthians 7:22, Paul uses a more specific term ἀπελεύθερος (apeleutheros), ‘freedman/feedperson’, referring to slaves who had been emancipated through the civic and legal process of manumission. Although it was a relatively common word, Paul only uses it once. Newman University graduand Isabella Wray explored what may have prompted Paul to use it here and what his readers may have understood by its use. (The Erastus Inscription, Corinth museum and archaeological site, 2016. Image: Isabella Wray). In parts one and two of Isabella Wray‘s dissertation (BA) exploring Paul’s use of the term ‘feedman’ (ἀπελεύθερος – apeleutheros) in 1 Corinthians 7:22, Isabella has drawn our attention to the importance of status within Roman society. She makes the point that how one was even treated in the law courts was dependent upon one’s status and rightly noted that this would have informed Paul’s instruction against their use for disputes among assembly members (1 Corinthians 6:1-6). Furthermore, the relatively recent re-establishment of Corinth created a rather unique environment which resulted in some of the legal obstructions to influential civic/political posts being lifted – even to those who were once slaves. The lure of upward mobility in Corinth was a very tangible and visible possibility; even someone who was a slave could rise up the social ladder, command respect of their peers, and acquire great wealth and power. At the best of times, the promise of freedom for slaves must have been very attractive, but in Corinth there was an added incentive. Was this, partly, behind Paul’s aside concerning whether the members of the Corinthian church who were slaves should remain enslaved or attain the status of an apeleutheros? One of the highlights each year is working with undergraduate students on their dissertations. It is the time when they choose the topic they want to research – rather than it being imposed upon them – and apply all their learning and skills that they have gained throughout their three years with us. I have had the pleasure of supervising some excellent work this year. 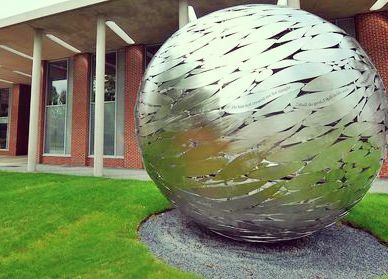 One of the dissertations, by graduand Isabella Wray, is particularly suited for this blog and, I think, many will find it interesting and add a new dimension to your reading of 1 Corinthians 7. With Isabella’s generous permission, I thought that it would be fun to post excerpts from her work. It is not just a great example of the types of questions and issues that students can explore in our degree programme, but I am also sure that a number of people will appreciate learning a little more about Paul, Corinth and the church that he founded there. Which book of the Apocrypha did Paul use most? Most readers of the New Testament are familiar with the idea that Paul used the Hebrew scriptures (Old Testament). However, they might be more surprised to realise that he also makes frequent use of a range of Jewish religious writings that are not included in the Hebrew Bible (sometimes referred to as ‘apocryphal’). Which apocryphal book did he use the most and which of his letters reflect the influence of this group of writings? Which book of the Hebrew Bible did Paul use most? Which book of the Hebrew Bible do you think Paul used most? I produced this wordcloud for one of the modules that we are just beginning at Newman. However, I thought it may also be of interest to other visitors to this site. The keynote session of the 2015 Newman Research Centre for the Bible and its Reception conference (Dead Letters and Living Words) was given by Dr Lloyd Pietersen who presented a paper on ‘An Anarchist Reading of Romans 13’ (video and notes below). The question about what is the relationship between church and state is one that has repeatedly been raised throughout Christian history. Romans 13 is a key passage in this debate and is often quoted to endorse a pacific and accepting attitude by the church towards state authority and rule. Studies at Newman and will be giving two lectures/seminars on campus on Thursday 12th February 2015, to which all are most welcome. 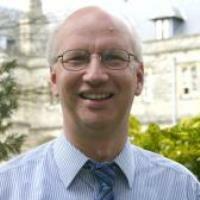 Professor Moyise is a world-leading expert in the area of the use of scripture in the New Testament, especially in the Book of Revelation and Paul’s letters. His most recent books include: Evoking Scripture. Seeing the Old Testament in the New; Paul and Scripture; and Jesus and Scripture. A number of students will be familiar with Professor Moyise’s work through his Introduction to Biblical Studies. Further details of his work can be found by clicking here. the use of scripture in Paul’s letters, with particular reference to the current work of another leading New Testament scholar, Tom Wright. 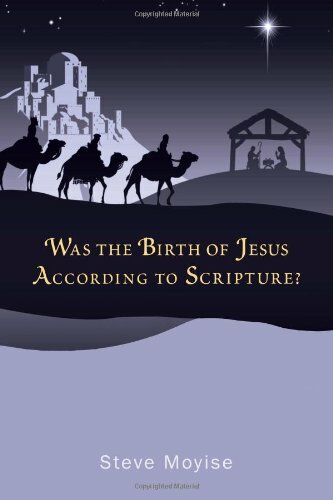 This will be followed from 16.30-17.30 by a research seminar entitled “Was the Birth of Jesus According to Scripture?” which is the focus of Professor Moyise’s most recent book. This session will be particularly interesting for those who came to our Advent Seminars in December.